Here’s one recipe idea that will give you business opportunity. 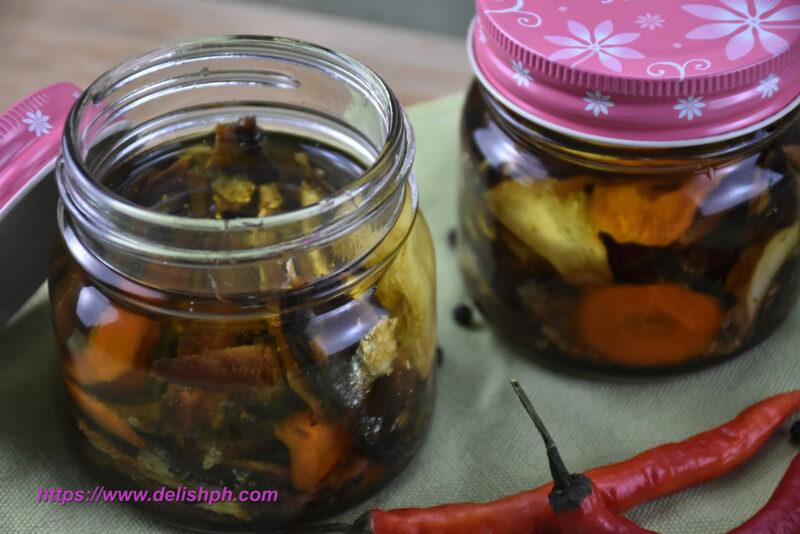 It’s time to learn how to make gourmet tuyo at home. It’s very easy to make and would only need few ingredients to get it done. You can make flavor variations from sweet to hot and spicy. Heat some oil in a pan, fry the dried fish until brown on both sides. Let cool and shred. Set aside. On the same pan, add in the vegetable oil, then the garlic. Cook until slightly brown. Add the carrots. Then the sugar, vinegar and peppercorns. Season with salt. Let it simmer for about 10 minutes. Let it cool. Prepare the jars. Sterilize in hot water. Dry. Arrange the cooked dried fish fillets in the jar. Then pick up some garlic and carrots from the oil mixture. 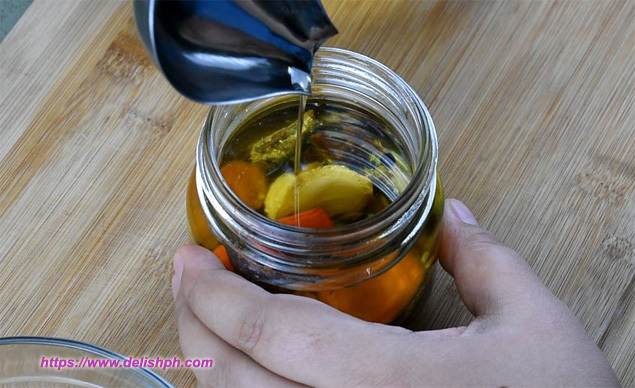 Pour the oil mixture into the jar. You guys had been sending your request to prepare gourmet tuyo, so here’s my version of it. It can be the simplest and the easiest one to prepare and you can even earn profit from it. If you have any question or suggestion about this recipe, drop a comment below or send me an email or direct message us on the Facebook Page.